How to remove Skype from the taskbar ? 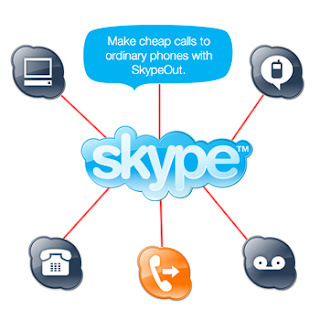 I love Skype.I exactly dont know what does Skype gain by offering its free call service but I am enjoying the latest Skype 5.0 bcoz of its new features, I use it daily and consider it to be one of the best applications installed on my system. However, recent Skype versions started exhibiting a pretty annoying feature: they stick around on your Windows 7 Superbar (and possibly on the taskbar in earlier versions of Windows, but I haven't tested that). No matter how many times you click the X to close Skype's window, it still sits there, taking space on your Superbar and annoying the hell out of you. Well, out of me anyway. I mean, there's an icon in the system tray already. Why do I need one in the Superbar when I have explicitly told Skype to go away? Do they think their users are too dumb to realize that clicking the X makes the program go away? Go to Tools > Options > Advanced. Uncheck Keep Skype in the taskbar while I'm signed in. Now Skype will actually minimize to the system tray when you hit the X. Finally!